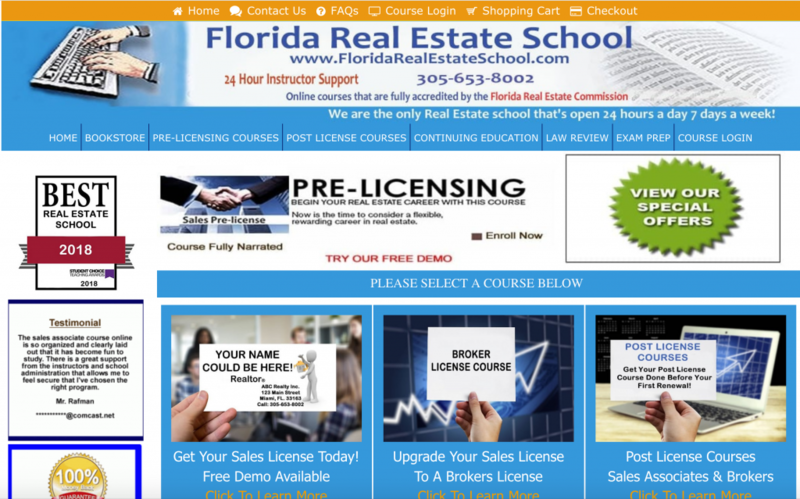 I began working with Perry at Florida Real Estate School in 2015 (he was referred by OLT). Since then I have helped him to create and maintain his Moodle LMS to manage courses for his school and an OpenCart E-Commerce solution to handle his enrollments. I have also created various back end reports designed to make managing students and handling the reporting requirements of his courses.